On September 29, Secretary of Energy Rick Perry sent a proposal in the form of a Notice of Proposed Rulemaking (NOPR) to the Federal Energy Regulatory Commission (FERC), exercising the Secretary’s rarely-used authority under §403(a) of the Department of Energy (DOE) Organization Act. The proposed rule, which is intended to stem the tide of coal and nuclear generation retirements, would require FERC-jurisdictional Independent System Operators (ISOs) and Regional Transmission Organizations (RTOs) to develop cost recovery mechanisms for “grid reliability and resiliency resources.” Secretary Perry has established an aggressive 60-day timeframe for FERC action on the NOPR, with the aim of having new compensation mechanisms in place by winter. FERC has published a notice calling for comments on the DOE proposal to be submitted by October 23, with reply comments due November 7. Section 403(a) of the DOE Organization Act of 1977, which has not been used since 1985, allows the Secretary of Energy to “propose rules, regulations, and statements of policy of general applicability with respect to any function within the jurisdiction of the Commission.” Under Section 403(b), FERC has exclusive jurisdiction to consider and take final action on such DOE proposals. The statute does not require FERC to adopt a proposal made by DOE. In August, DOE staff issued a report, in response to a request from Secretary Perry, on electricity markets and reliability. 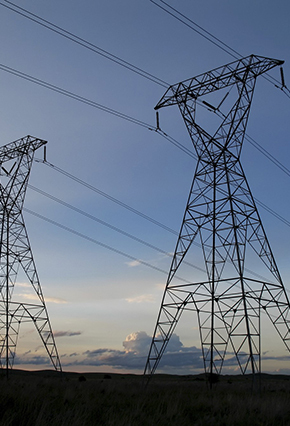 The report included recommendations for FERC to expedite its ongoing price formation proceedings and “compensate grid participants for services that are necessary to support reliable grid operations.” In a letter to FERC accompanying the NOPR, Secretary Perry argued that wholesale markets fail to adequately price the resiliency attributes of baseload power, and that market changes are needed to prevent the retirement of baseload resources (specifically coal and nuclear generators) with on-site fuel supplies that may be more resilient during extreme weather events that could interrupt natural gas supplies. Each Commission-approved independent system operator or regional transmission organization shall establish a tariff that provides a just and reasonable rate for the (A) purchase of electric energy from an eligible reliability and resiliency resource and (B) recovery of costs and a return on equity for such resource dispatched during grid operations. The just and reasonable rate shall include pricing to ensure that each eligible resource is fully compensated for the benefits and services it provides to grid operations, including reliability, resiliency, and on-site fuel assurance, and that each eligible resource recovers its fully allocated costs and a fair return on equity. DOE set out a very expedited timeline for FERC to finalize action on the proposal and for ISOs/RTOs to implement the new requirements. DOE has directed FERC to take final action on the proposal within 60 days from the NOPR’s publication (or, alternatively, to issue the proposal as an interim final rule effective immediately). Under DOE’s proposed schedule, the final rule would take effect within 30 days of publication of the final rule in the Federal Register, and the ISOs/RTOs would have to make compliance filings within 15 days of the effective date. The NOPR further proposes that compliance filings would take effect 15 days after they are due. Under this timeline, ISOs/RTOs would have to implement the NOPR by late January 2018. The NOPR appears intended to make good on the Trump Administration’s campaign promises to aid the struggling coal industry. However, the proposal leaves many details to be determined by FERC in a final rule and by the ISOs/RTOs in compliance filings. The NOPR acknowledges a number of recent and ongoing FERC initiatives such as FERC’s initiative to improve price formation, but concludes that these efforts have not resulted in policies and market compensation sufficient to prevent the retirement of coal and nuclear generation resources. As an initial matter, the proposal would require revisions to existing ISO/RTO tariffs, a process governed by Section 206 of the Federal Power Act. Under Section 206, an existing rate or tariff cannot be changed absent a FERC determination that the existing rate is unjust and unreasonable, or unduly discriminatory or preferential. The DOE NOPR does not marshal its policy arguments so as to make the required predicate findings under Section 206, so FERC would have to make such findings in the final rule. This is often a complex process, with significant opportunities for public comment, and DOE’s requested schedule would substantially compress FERC’s typical process. The “grid reliability and resiliency resource” definition – based upon a 90-day fuel supply - appears to apply principally to nuclear and coal generators. However, the proposed definition raises questions. For instance, coverage of other types of baseload resources such as hydropower is unclear. There may be factual questions about how many coal plants maintain a 90-day on-site fuel supply, and whether a 90-day supply is needed to provide the types of resiliency benefits identified in the NOPR. The appropriate treatment of generators not directly connected to an ISO/RTO’s grid, but selling power into that market, is also unclear. Perhaps most fundamentally, the proposal is unclear on whether “grid reliability and resiliency resources” would be compensated via energy markets, ancillary service markets, capacity markets, or other mechanisms. For example, energy markets could be adjusted to require dispatch of “grid reliability and resiliency resources,” even where they would not otherwise clear the energy market. “Grid resiliency” might be declared a new category of ancillary service, with units receiving compensation for providing such service. For the markets with capacity markets, a separate category of grid reliability and resiliency resources could be recognized, with minimum resilient resource levels required. Or a “grid reliability and resiliency resource” could be treated comparably to a “reliability must-run” resource, contracting with the ISO/RTO to operate under cost of service rates. To the extent that FERC is persuaded that action is needed to better compensate grid reliability and resiliency resources, FERC will either need to decide which one or more of these approaches best addresses the identified need in a final rule, or defer the choice of approaches to the ISOs/RTOs in the first instance, to be evaluated by FERC in compliance filing proceedings. Van Ness Feldman represents clients on a full range of issues arising out of the organized markets regulated by FERC. If you are interested in additional information regarding the DOE proposal and its implications, please contact Doug Smith, Justin Moeller, Gabe Tabak, Kelsey Bagot, or any member of the firm’s Electric Practice at (202) 298-1800 in Washington, D.C. or in Seattle at (206) 623-9372.